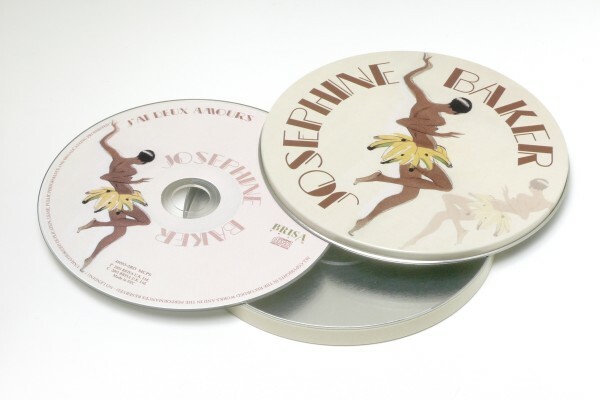 Product information "BRISA CD JOSÉPHINE BAKER - J'AI DEUX AMOURS"
In 1926, a then-unknown Josephine Baker took the Paris theatre world by storm, creating a sensation with her scandalously skimpy costumes and, in contrast, her endearingly ingenue voice. Despite criticism from the more conservative critics, she rose to stardom on the French music hall circuit and beyond. Related links to "BRISA CD JOSÉPHINE BAKER - J'AI DEUX AMOURS"
Customer evaluation for "BRISA CD JOSÉPHINE BAKER - J'AI DEUX AMOURS"